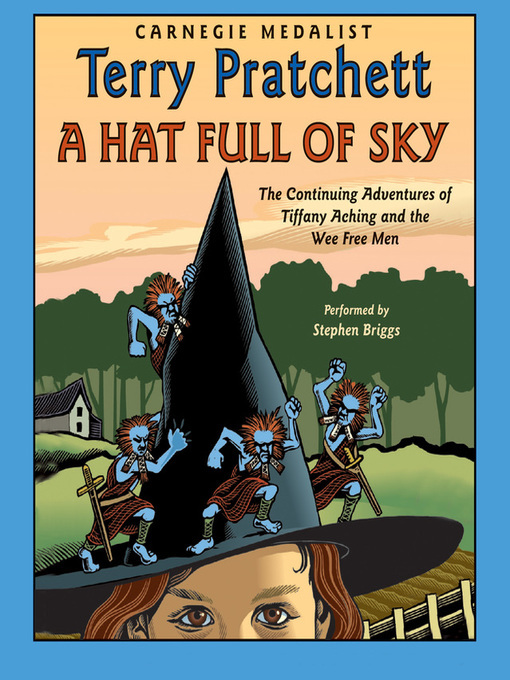 Hat Full of Sky by Terry Pratchett. The sequel to The Wee Free Men. This one is just as hilarious and the reader, as ever, does a fantastic job. Love his accents! Very well done. Though I did think that Mistress Weatherwax occasionally sounded angry when she didn't need to. But maybe that's just me. Anyway, I was thoroughly entertained. Begin with The Wee Free Men though. My favorite line: "Can we swim it?" Moxie Maxwell Does Not Love Writing Thank-you Notes by Peggy Gifford. This one, as an audiobook, was meh. The reader was okay. Sometimes she read far too slowly, especially during repetitious parts of the book (like the long chapter titles which would be cool in the book, but were just boring on audio, to me.). Also I had a very hard time believing that a 10 year old girl would be so clueless. I remember being ten. I remember being definitely not clueless. But even the girls my age who I thought were clueless were not THAT clueless. I do remember feeling entitled and not making all of the connections of my actions and their consequences, but Moxie, to me, in this book, was unbelievably clueless. Good for early elementary age. The 39 Clues Book 1: The Maze of Bones by Rick Riordan. I'm a big fan of all of Riordan's stuff that I've read. This one is no exception. And the reader was awesome. When he was reading girls or women, for the most part, I forgot he was a man. His Aunt Beatrice voice was my favorite. He's very good at that chainsmoker thing. Ha! I absolutely loved Nellie as well. The story was fun and action-packed, in typical Riordan style. Great for 8+, I'd say. I really, really liked his novel Mort. Have you read that one?